Recently, women-only networking has re-surged, particularly in tech fields, in an effort to compensate for the potential gender setback. But not everyone sees this as a positive trend. Ladies: Have you ever participated in a women-only networking event or group and what was your experience? If you haven’t, where do you do your best networking? 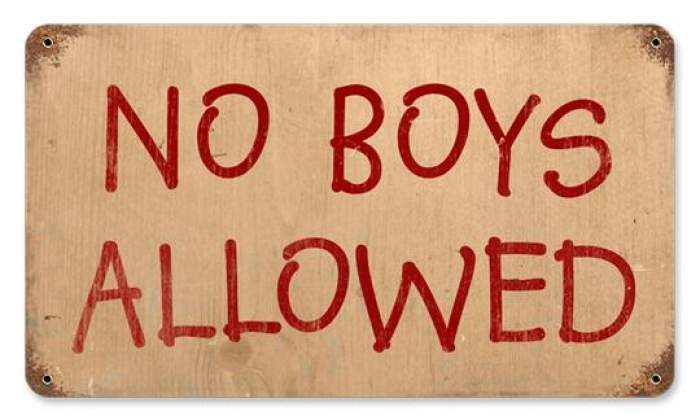 Men, I’d love to hear your opinion as well – do women get shut out of informal “social” networking in your business? Advice? nice blogs .and more work in sites. I have to say, there is a reason why God created male and female. Sometimes, in order to achieve what we want to achieve, we need both male and female in our networking. I just saw the new ad for Dr. Pepper TEN commercial? Catch phrase: “It’s NOT for women.” It’s a spoof of an action movie, with guns, car chases and things blowing up. It’s a niche, you have to know your audience, and serve up something they want. I host the Women’s Business Socials in Ventura County with as many as 220 women attending a weeknight networking event. I created it to be for women, something they’d enjoy. A networking event, actually, that I would enjoy. I say, GO to the networking events, many of them. Not just the ones for women, or for people in your specific industry. Go make a community for yourself. I work in technology, and actively participate in several mixed networking groups that are technology focused, or industry focused. The composition of these groups is predominately male. When I engage with a women-focused group, I find myself feeling much more relaxed, and more willing to be vulnerable – and when I’m willing to be vulnerable, I am most open to learning. My experience with women-focused networking is that conversations and discussions, both formal and informal, tend to move fluidly between work and personal challenges. This holistic approach to work/life really resonates with me. I find women-only networking a critical piece of my overall relationship and professional development approach. In the past, I more or less shared Matthew’s POV – why silo? I’ve been in fields (editorial, marketing, PR) where women and men have equal footing, so that’s part of the reason why. The “boy’s network” has never been an issue for me. But I’m finding my attitude changing as I’m heading into my 30s. Suddenly I have a lot of professional/life-balance questions that lead me to want specifically female mentorship. In my 20s, I wasn’t thinking about kids and family and how to juggle both and still thrive in work I love. Now, that’s a major issue, and I want to know how other women are handling it. Disclaimer: I am male, and a computer programmer. Programming has to be one of the most male centric fields in the world, considering I have never worked with a female programmer. With that said, I believe that women-only networking is actually quite peculiar. The women I know are 100x more talented networkers than I am. I have an extremely hard time meeting new people and all of the women I know have no trouble. What I find peculiar about women-only groups is that they are really cutting themselves off at the knees. Sure many businesses are male-centric, but why are they limiting themselves to a fraction of the business world? I feel that with many women’s natural ability to connect and to nurture relationships, that they could be many times more successful with networking than any man. I guess I don’t mind women teaming up together but I think that women-only networking events encourages siloing which is never a good thing. In the end we’re all in this together and there is no reason people should isolate themselves.